Sicily is located in the center of the Mediterranean, separated from the toe of the Italian peninsula by the Strait of Messina. It is the latest island in the Mediterranean, with an area of 9,927 square miles (25,711 sq km). The terrain is mostly hilly, with nearly all arable land in use. 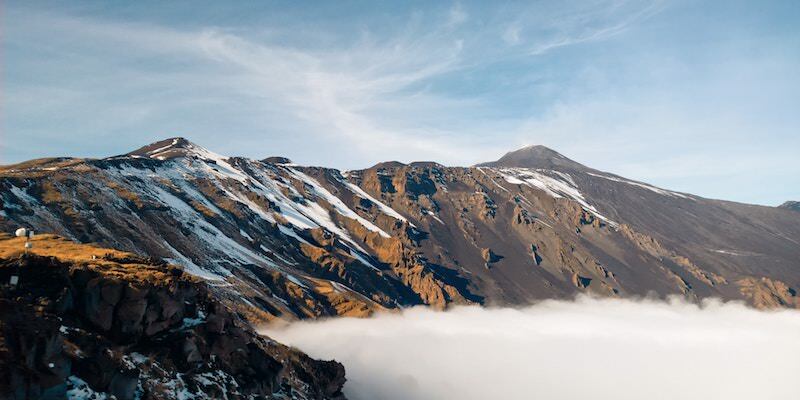 Sicily and its surrounding islands have a number of active volcanos, including the largest in Europe—Mount Etna. Just over 5 million people call Sicily home—or roughly 8% of the total population in Italy. The region’s capital is Palermo. What should I do in Sicily? The culture of modern-day Palermo—the capital of Sicily—has roots throughout the Mediterranean. As you walk its streets, you’ll spell spices from the Arab world, hear words derived from Ancient Greek, gaze at mosaics created by Byzantine artists, pass churches built for Norman rulers, and taste foods taken inspired by mainland Italy. It's a sensory smorgasbord that you shouldn’t skip. 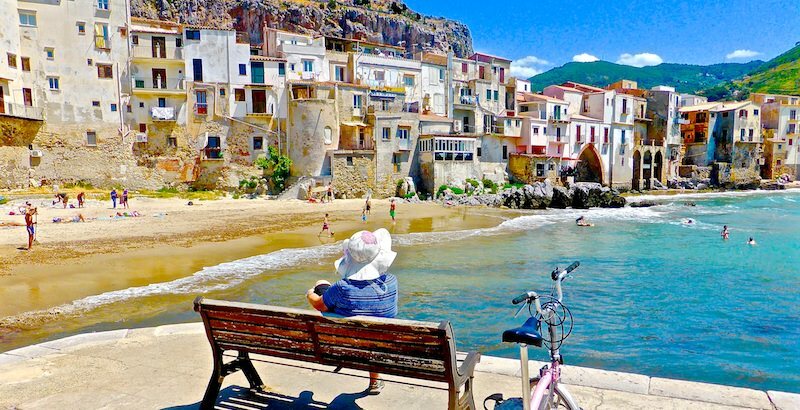 Just an hour east of Palermo, the seaside community of Cefalù has long been a favorite for French and Italian holiday goers. Its dramatic setting—nestled between an imposing crag known as La Rocca and the cerulean waters of the Mediterranean—hints at the dual nature of the city’s attractions. Those looking for rest and relaxation find it on the sandy beaches or in the sea, while those interested in history discover a beautiful romanesque cathedral complete with stunning Byzantine mosaics and the atmospheric cliff-top remains of an Ancient Greek temple and a later castle. For thousands of years, the inhabitants of Sicily have feared the destructive power of Mt. Etna—one of the largest active volcanos in the world. Nearly a third of the island rests under the shadow of what the locals refer to only as ‘a muntagna. Yet don’t let fear prevent you from visiting this unique setting, which offers desolate lava fields, simmering fishers, and panoramic views of the island. It’s easy to confuse the ancient ruins of Segesta with a mirage. The honey-colored stones that make up the 5th century Greek temple and theater stand out like beacons in a sea of greenery. Less popular with tourists than some of Sicily’s other archaeological sites, Segesta provides a great setting within which to commune with Ancient Greek life. Take a seat at one of the man promontories and imagine what life was like here some 2500 years ago. Siracusa, and the neighboring island of Ortigia, serve as the perfect place for visitors to experience the totality of Sicilian history. Ancient Greek ruins emerge from citrus groves harvested today to create local delicacies. Pagan temples serve as the backbone for impressive baroque churches. Byzantine fortifications are transformed into elegant, cafè-lined piazzas. Medieval streets lead to stunning vistas and charming wine bars. It’s a must-visit for anyone who is interested in the complex history of the island. 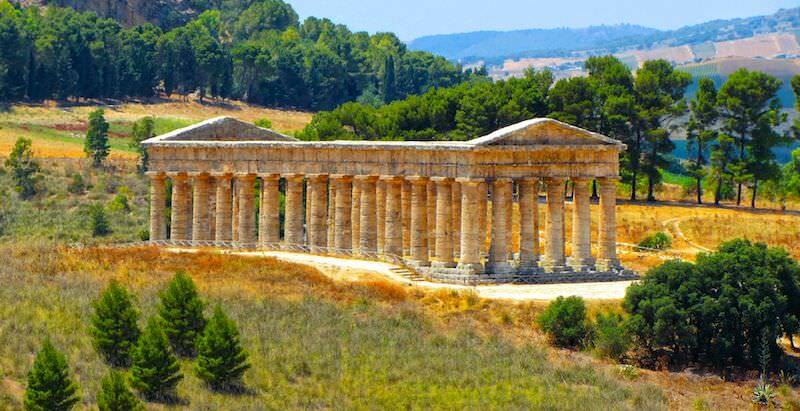 As home to perhaps the best-preserved grouping of Ancient Greek temples in the world, the so-called Valle dei Tempi (Valley of the Temples) has been on the itinerary of visitors to Sicily for hundreds of years. Made extremely wealthy by trade, the inhabitants of Agrigento—now a UNESCO World Heritage Site—built a series of magnificent doric temples that date to the 5th century BCE. Of particular interest is the Temple of Concord [seen above], the interior walls of which still stand. Many of the artifacts found at Agrigento are housed nearby in an excellent archaeological museum. This other-worldly (and blindingly-white) rock formation is one of Sicily’s most awe-inspiring locales. 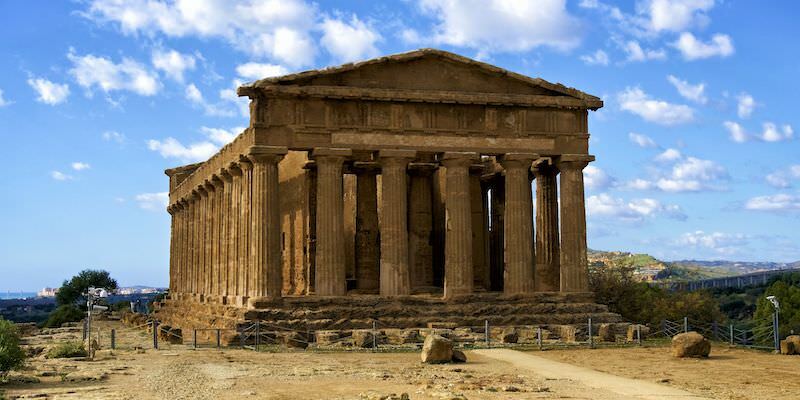 Just 9 miles (15 km) west of Agrigento, it is a must-visit for anyone in the area. 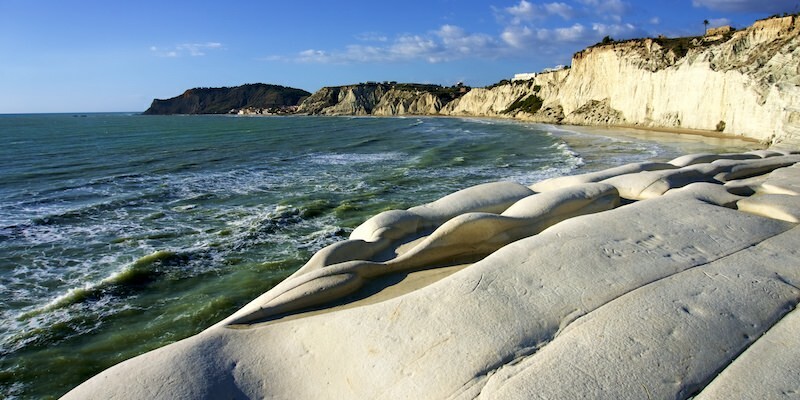 The name Scala dei Turchi—meaning ‘Stair of the Turks’—is named for the Arab pirates (colloquially known as Turks) who camped here during storms. Today, it’s the perfect place to take off your shoes and enjoy a Sicilian sunrise or sunset. During colder months there are few visitors, but the area is popular with sunbathers in the summer. To escape the crowds, simply hike down to the long sandy beach that parallels the cost to the north. The celebrated Villa Romana del Casale houses some of the world’s most extensive— and beautiful—mosaics. Built between the 2nd and 4th centuries AD as the home for an extremely-wealthy, but as-of-yet unknown Ancient Roman, it was decorated with over 43,000 sq feet (4,000 sq m)—the equivalent of ten basketball courts—of polychrome floor mosaics. The variety and quality of the marble used in the mosaics are unparalleled anywhere else in the world. 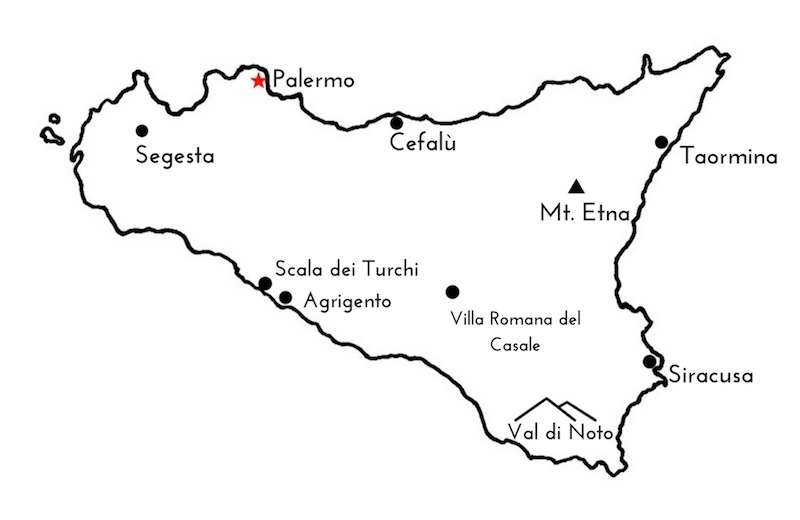 In 1683 a massive earthquake hit the Val di Noto, located in southeastern Sicily, leveling many of the area’s settlements. 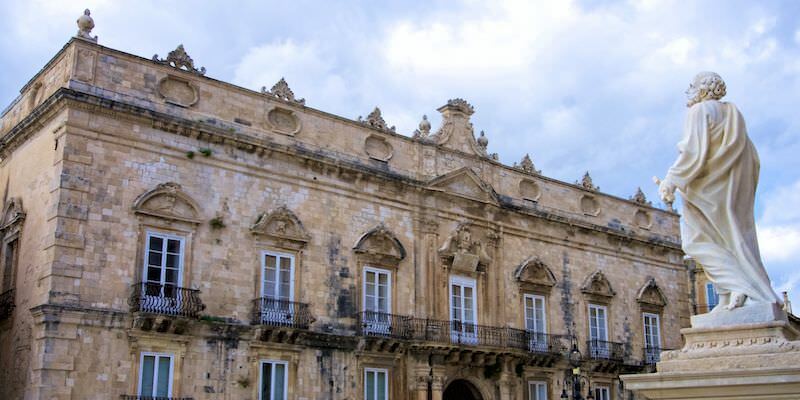 Over the subsequent decades, the nobleman Giuseppe Lanza—with permission from the governing Spanish monarchy—redesigned and rebuilt many of the damaged towns in a particularly-flamboyant architectural style known as Sicilian Baroque. 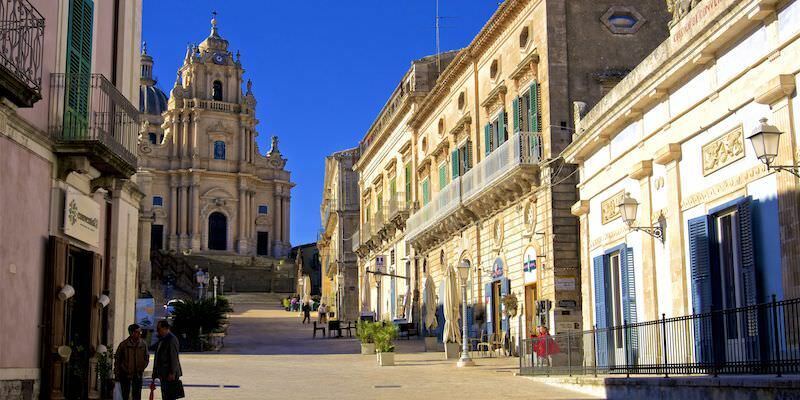 In cities like Noto, Ragusa, Modica, and Caltagirone, visitors find extravagant churches, palaces, theaters, and piazzas that are at once playful and imposing, graceful and sturdy. 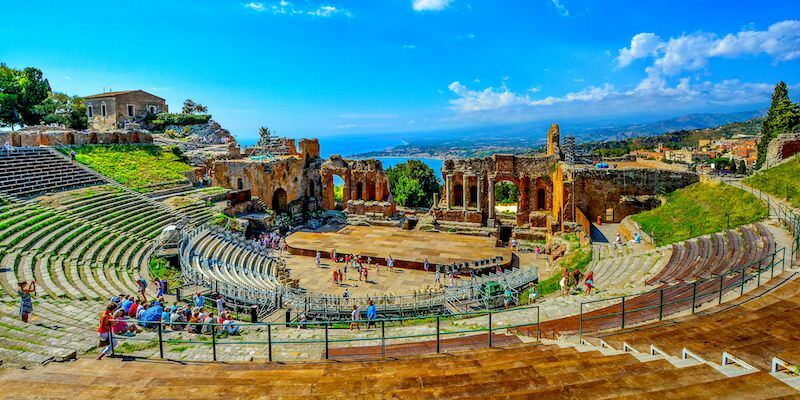 Perched high above the Strait of Messina’s azure waters, the resort town of Taormina is renowned for its stunning views, impressive Ancient Greek theater, and unmistakable charm. Since the 19th century, international elites have traveled here to unwind and enjoy the finer things in life. While there is no shortage of ways with which to spend a fortune in Taormina, it is not a prerequisite for having a good time. Drinks in elegant cafes, fresh seafood, and evening passeggiate down Corso Umberto—these can all be enjoyed at a reasonable cost. What should I eat and drink in Sicily? While each region of Italy has its own unique culinary traditions, the food and drink in Sicily is especially distinctive. Having been settled and conquered by peoples from around the Mediterranean, Sicily's cuisine is a hybrid of sorts—combining Greek, Arab, Spanish, and French practices with the dishes of mainland Italy. 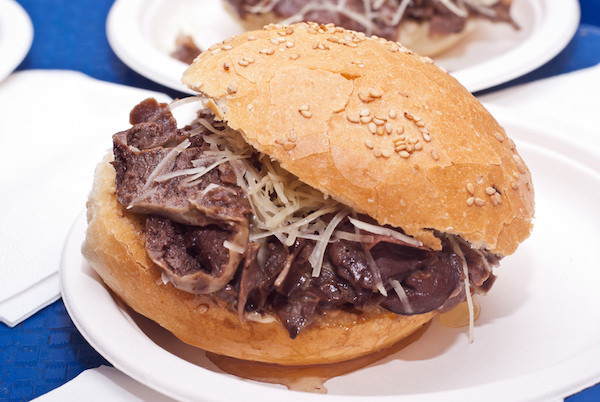 A traditional street food of Palermo, this sandwich is made with lard-fried veal lung and spleen. 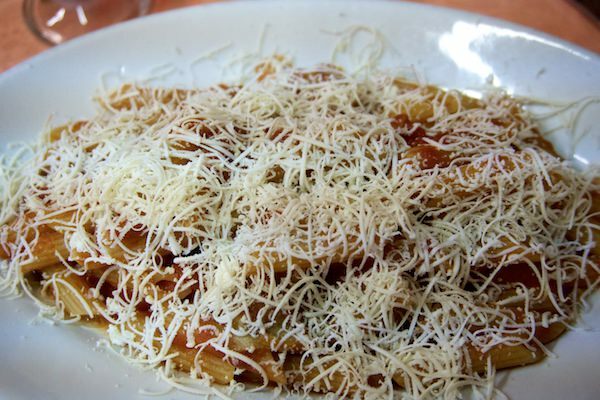 If left plain, it’s called schettu (single), and when covered in cheese, it’s called maritatu (married). Order one from the various stands in Palermo’s food markets, and you’ll be sweating lard in no time. Originally from Catania, this pasta dish is made with tomatoes, eggplant, grated ricotta, and basil. Simple but delicious. Da Aldo, near Catania’s Fera o Luni market, serves an excellent version. 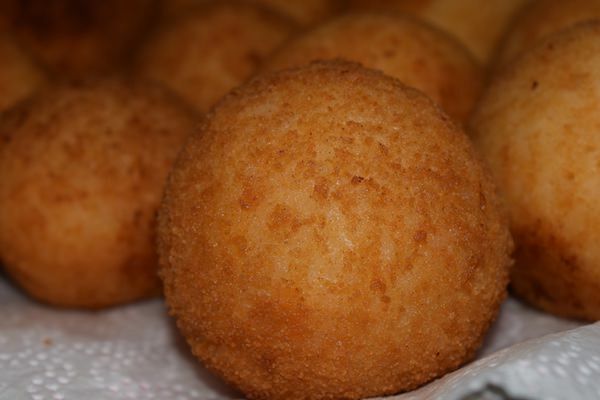 Known in Sicilian as arancinu or arancina (meaning ‘little orange’), these delightfully deep-fried, bread-crumb-covered, stuffed rice balls are favorites throughout Sicily. Typical fillings include ragù, mozzarella, mushrooms, pistachios, and peas. Arancini from eastern Sicily often have a conical shape. 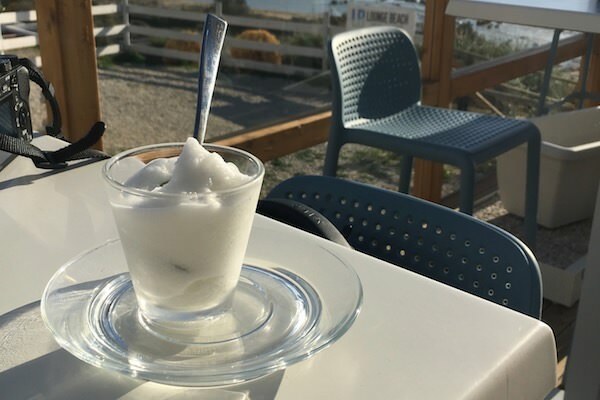 This semi-frozen dessert—made from sugar, water, and a variety of flavorings—is popular with Sicilians both for breakfast, as a snack, or after a meal. If had in the morning, it’s often paired with a soft brioche, which is used to dip-up the granita. Typical flavors include almond, coffee, lemon, and mint. The best granita will be fine-grained, with a think but not too thick consistency. 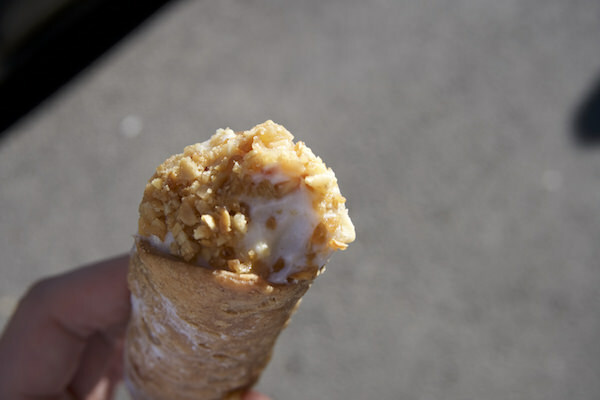 This most famous of Sicilian desserts consists of a roll of fried pastry dough filled with sheep’s milk ricotta cheese. A good cannoli should be filled fresh, upon order. Each village has its own recipe for the perfect cannoli, but two excellent places include Iudice in Ragusa Ibla and Pasticceria Gelateria Verona & Bonvegna in Catania. Sicily produces the most—and some of the best—wine in all of Italy. 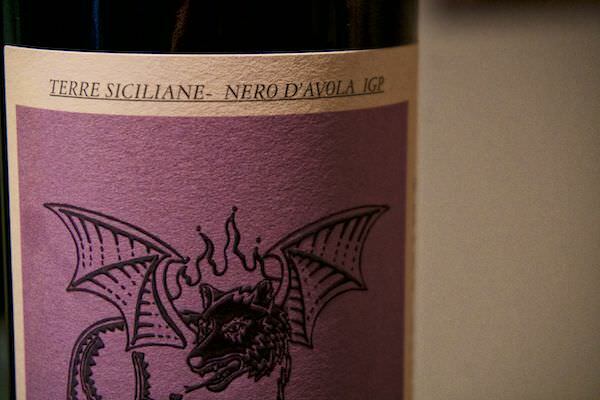 The island’s most famous Sicilian wine is Nero d’Avola, a full-bodied red that is similar to Shiraz/Syrah. Marsala, a fortified wine often used as an aperitif, is also noteworthy. But as is so-often the case in Italy, you’ll never go wrong ordering the local varietal. 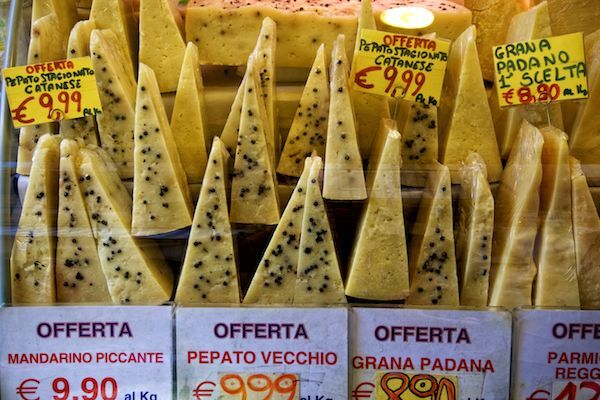 Pecorino Pepato—Tumazzu di pecura ccu pipi in Sicilian—is a semi-hard sheep’s cheese with black peppercorns. It pairs well with a bold red and can be bought at most markets and grocery stores. Allegedly first created by the Arabs who settled in Palermo, Cassata Siciliana is now a beloved desert throughout the island. 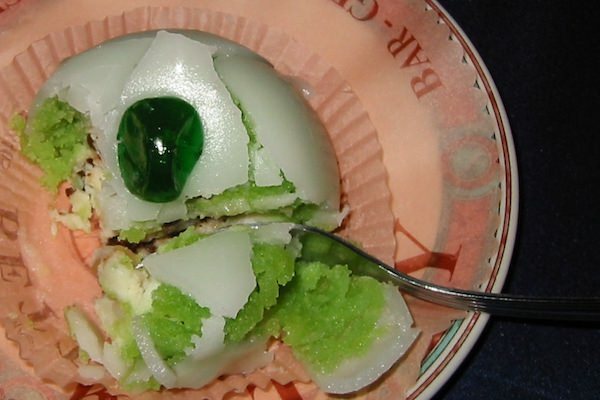 It is made of a round sponge cake, which is moistened with fruit juice or liqueur, layered with ricotta cheese, covered with a shell of marzipan, and topped with candied fruit. The taste is not for everyone—you generally either love it or hate it—but it’s definitely worth trying while in Sicily. Grown in the mineral-rich volcanic soil of Bronte—a small village west of Mt. 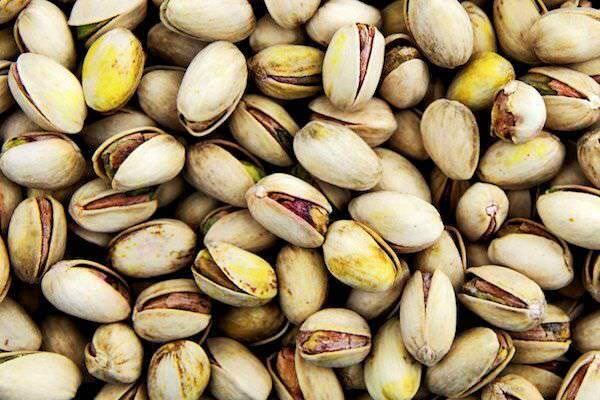 Etna—these pistachios are considered to be the best in all of Italy. In fact, 85% of the country’s pistachios are grown here, despite the fact that they are only harvested for a brief period every other year. The best place to try these nuts is in Bronte, as an ingredient for arancini or gelato at one of the cafes lining its main street, but they can also be found throughout Sicily as an ingredient in pesto, biscotti, granite, and cannoli. 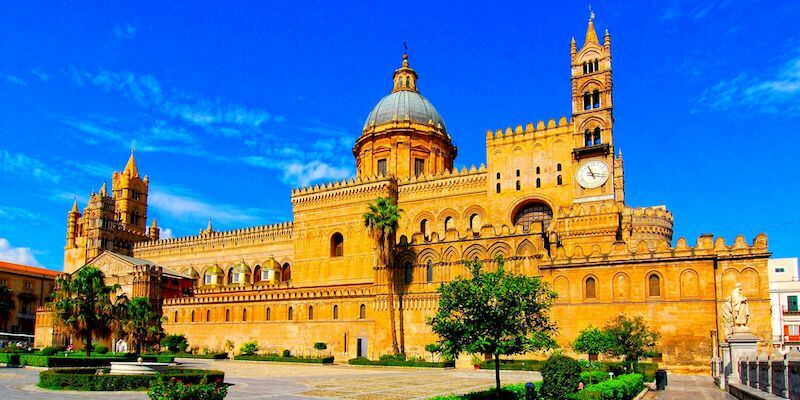 For travelers coming from the US, there are regular direct flights operated by Meridiana from New York’s JFK Airport to Palermo from June to October. Otherwise, you first have to connect through Rome or Milan. International airports at Catania, Palermo, Trapani, and Comiso are well-connected to mainland Europe, Africa, and the Middle East. Sicily-bound ferry services regularly depart from Naples (to Palermo, 11 hr), Genoa (to Palermo, 20 hr), Salerno (to Palermo, 12 hr; to Messina, 8 hr), and Civitavecchia, near Rome (to Palermo, 12 hr). The easiest way to get around Sicily is by car. Having said that, driving on the island is not for the faint of heart. 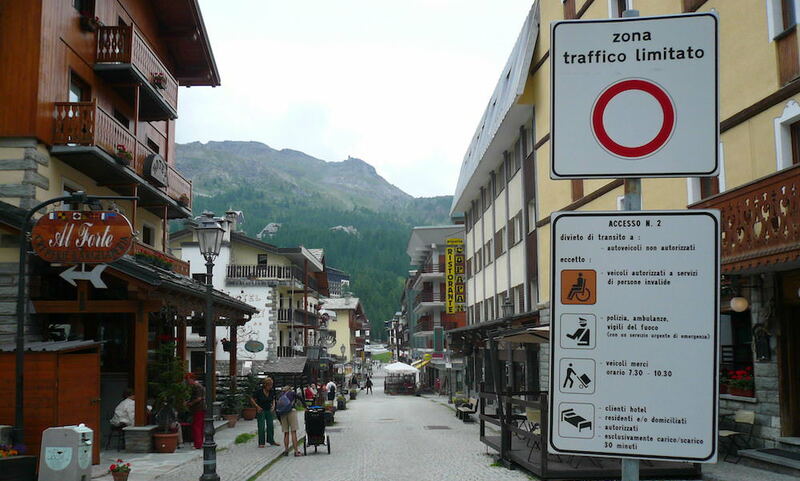 Traffic signs are largely optional and drivers can be aggressive, especially in cities. Attentiveness is key. Most main roads are in good condition, and the views are almost always excellent. Many historic town centers restrict access at certain times (there should be signage [see below] or a red/green light notifying you of the current status), but there are almost always paid parking lots within walking distance of the center. If you do rent, get as much insurance as possible. Since the majority of cars in Sicily have at least one scratch or dent, it’s worth the protection. Renting from a reputable international dealer is encouraged, as some less-scrupulous agencies have been known to send bills months and years later for bogus repairs. To reduce your risk, photograph your vehicle before leaving the rental lot and when you return your vehicle clarify that you’re not being charged for any damage. For those that prefer not to drive, you can rely on buses and trains to see Sicily’s major towns and sites. The rail system in Sicily offers adequate coverage at a reasonable price, but they are not the best choice for travelers with tight schedules as speeds can be slow and there are sometimes delays. Tickets can be purchased at the train station (stazione ferroviaria) or online at TrenItalia.com, where you can also view timetables. Buses are generally faster and similarly-priced to trains, but their schedules can be more difficult to decipher (Google Maps can often help you to determine the correct route) and service is usually limited on Sundays. The main bus companies in Sicily are SAIS Transporti, SAIS Autolinea, AST, and Interbus. Cab drivers are typically honest, and meters are required by law, but it’s best to establish a price before you leave (for popular routes you can check online or look for a fair chart to see what's reasonable). All cities in Sicily are walkable. -At its closest point—just north of Messina—Sicily is just 1.9 miles (3.1 km) from mainland Italy. -The Ancient Greeks believed Mt. Etna was where Hephaestus—the god of metalworking and sculpture—forged thunderbolts for Zeus. -Despite being the second-most spoken dialect in Italy after Tuscan (from which Standard Italian is based), no place on earth uses Sicilian as an official language. -Organized crime in Sicily, the power of which has been greatly decreased since the 1990s, is most commonly referred to as Cosa Nostra (‘our thing’) rather than Mafia. -Most locals are fiercely proud of their heritage, considering themselves Sicilians first and Italians second. -Because Sicily has been settled and conquered by peoples from throughout the Mediterranean, the Sicilian dialect was influenced by Greek, Arabic, Catalan, and even German. -Until recently, much of the wine in Sicily was produced using the traditional process of grape stomping, during which no bathroom breaks were allowed. I suppose it’s all alcohol in the end, right?